Dragon Age, the fantasy RPG series, is now also about to be a sprawling strategy game thanks to a total conversion mod for an old Total War game. Via PC Gamer, Dragon Age: Total War is a mod for Medieval II: Total War that completely transforms the 2006 classic into something that looks like EA would have published it, were EA smart enough to actually get back in the business of making decent strategy games. This means everything is being overhauled, from unit visuals to maps to faction icons, and the game’s roster will be tweaked so that each available side plays like it should according to Bioware’s canon. The mod isn’t available yet—it might be a while off—but you can follow its progress here. And if you’d like to play something similar while you wait, the famous Lord of the Rings mods for the same game are excellent. Third Age, an old mod for Medieval II Total War, remains one of the best mods you can get for any PC strategy game. 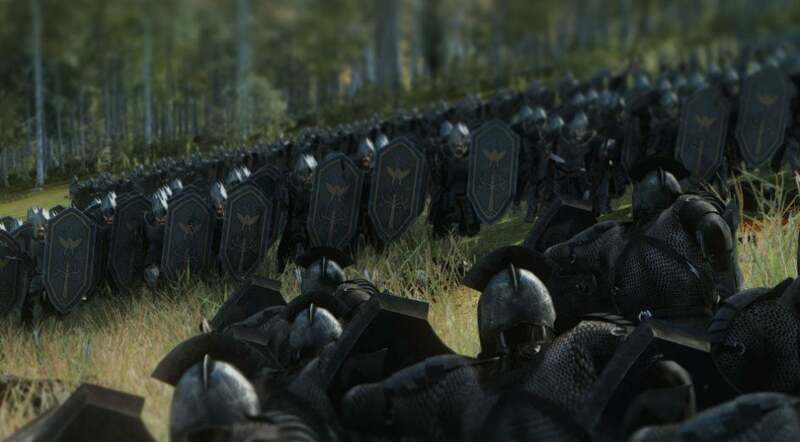 It's about to get some competition, though, from Total War: Rise of Mordor, a new mod that's now got a playable alpha available you can check out.